Find out how to play our course for free, and how to receive exclusive deals. Using our online booking engine is as fast and smooth as our greens. Choose one of our incredible outing packages or let us customize your event. Want to enhance your next country club visit? Take a look at our latest specials. River Hills Country Club is a Corpus Christi golf facility that combines the natural contours and rustic charm of the Nueces River Valley with well-manicured greens, fairways and tee boxes. The course gives the golfer a comfortable, yet challenging golf experience is not found anywhere else in the country. The majority of our members and guests are attracted to the high quality, condition, consistency and playability on the 6,096-yard 18-hole par 70 golf course. 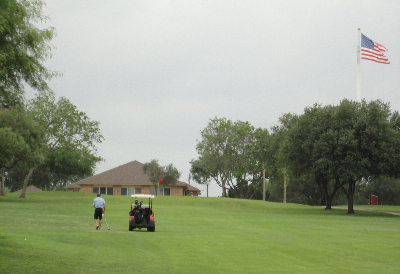 River Hills is a semi-private, family oriented South Texas Club that is also open to the public. Members and guests are encouraged to enjoy all that River Hills has to offer, including fully stocked golf shop, driving range and putting green, clubhouse with banquet facilities, restaurant, 19th hole lounge, swimming pool and mens & ladies card room facilities. Our clubhouse features a comfortable 19th hole lounge area with flat panel televisions and plenty of room to spread out and relax. Each of the locker room include a private game room for members and their guests to enjoy.